Before we would learn more about how to do hypnosis, let us understand hypnosis. The word hypnosis originates from Hypnos in Greek mythology who was the personification of sleep. It has actually been around since ancient times. In ancient Greece hypnosis hypnosis was used in temples to cure people, and variations of this method were used in many parts of the world. In the olden days the ancient medics used storytelling, imagery, trance and suggestion to hypnotize people and cure them. The use of modern day hypnosis to cure is credited to Franz Anton Mesmer who termed it as ‘magnetic healing’ and believed that there is a “magnetic fluid” to cure all sorts of illnesses in his patients such as aches, pains and paralysis. Hypnosis was used by Freud for a while to treat patients with hysteria but then, troubled by the powerful emotions that hypnosis caused in them, he soon gave it up. Today medicine has advanced greatly but it seems we are going back to traditional methods of cure. Many reputable institutions around the world are doing research in hypnosis. Among them are, Harvard, Stanford, Tulane, Case Western and Mount Sinai. So, how to do hypnosis? 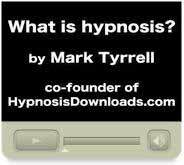 In Hypnosis there is a hypnotist and a subject. You can of course also learn to do self hypnosis where you hypnotize yourself. Most often in hypnosis the hypnotist will ask the person to sit on a chair and stare at a particular point. Then they will ask you to let your breathing become slow and relaxed and slowly ease away the tension from all your body parts. They will gently tell you that your eyelids are becoming heavier and soon it will be difficult to open them and you will go into a peaceful state of mind. Then they will repeat affirmations to you like you are confident and capable and than slowly bring you back to the real world and get you into a state of alertness and you will be all refreshed. Remember that the hypnotic trance in itself is not curative, however the suggestions and imagery that the hypnotist feeds to the patient is a potent way of changing the person’s behavior. The hypnotist may suggest and motivate the person to eat less, eat healthy and loose weight. Also the immense relaxation of the trance benefits the person especially if they have some anxiety disorder, mental disturbance or body tension. Research has repeatedly shown that hypnosis in the right hands is safe and can be used to treat all kinds of illnesses, from helping people to quit smoking, loosing weight, increasing self esteem, building self confidence, improving study habits, reducing phobias, serving as anesthesia during surgery and enabling a non-drug induced pregnancy.